Universal Orlando’s Mardi Gras is Florida’s biggest party. It’s the best place this side of The Big Easy to find great bands straight from Bourbon Street, authentic N’awlins style Cajun food, fun entertainment, live concerts and of course the massive parade. And what would Mardi Gras be without the beads? 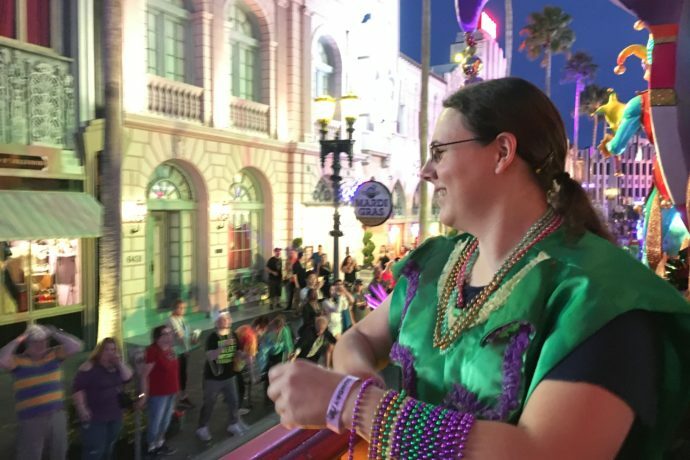 Catching all those countless beads is one of the greatest thrills around, but having the chance to stand on a float and throw them myself was an experience I’ll never forget.